Do you ever look at the tag to see how you are to properly wash your clothes? I can guarantee you that I have not and have accident ruined my newly bought clothes. I then realized I needed to start reading the labels and learn how to properly wash my clothing. 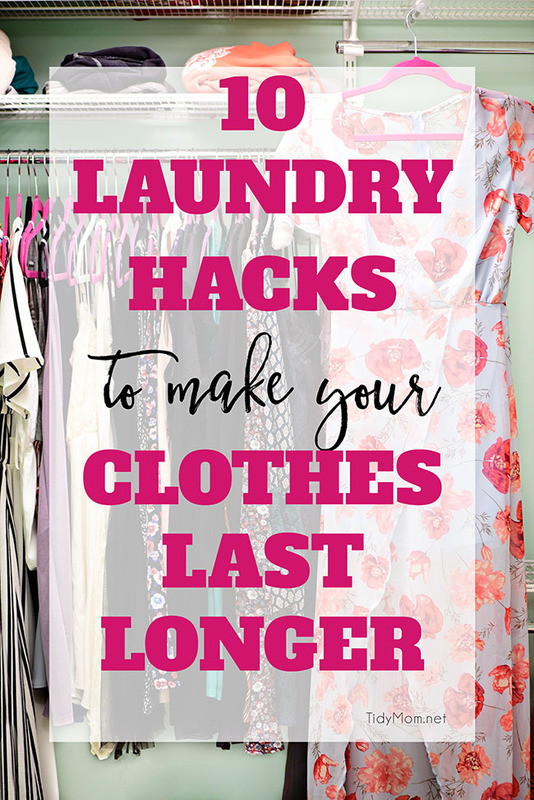 These 10 Laundry Hacks to Make Your Clothes Last Longer over at Tidy Mom can help add years to your clothes and keep them in almost in mint condition. Some of these hacks are don’t over wash your clothes, cleaning your washing machine regularly (yes! you actually need to clean it! ), and avoiding high heat.